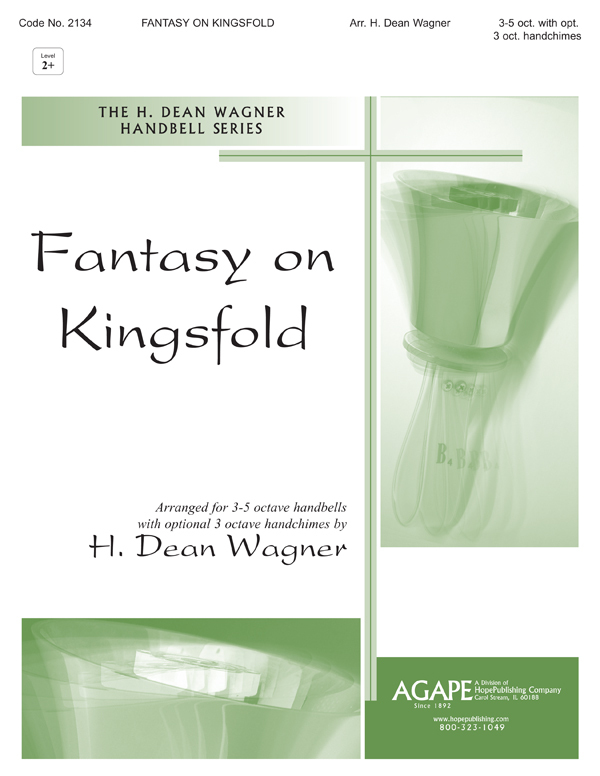 H. Dean Wagner's Fantasy on Kingsfold has been a "best seller" in the Agape/Hope catalog since its publication in 2000. For the first time, it is now available with a full orchestration provided by Michael Glasgow. This dynamic setting, which is based on an old English folk tune, moves from intimate to majestic with colorful harmonies and the optional use of handchimes. For worship or concert, this is a tried and proven winner. The Orchestration includes a Conductor's Score and parts for: Flute, Oboe, Horn in F, Trumpet in B-flat, Percussion 1 & 2, Harp, Violin 1 & 2, Viola, Cello, Double Bass and Keyboard String Reduction.